It’s another year and another Tour de France. After some massive crashes, for no apparent reason, in Stage 6, a lot of favorites were out. The course itself wasn’t that hard, but nervous jitters were enough to send most of the peloton sprawling all over the roads. Stage 7 was magnificent, with a beautiful mountaintop finish, in which we saw Chris Froome (SKY) ride Bradley Wiggins (SKY) up the top, followed closely by Cadel Evans (BMC). Evans tried to shake Wiggo, unsuccessfully. Wiggo looks a lot stronger than Evans, but how much would only be shown in Stage 9, the individual time trial, right before the rest day in Besançon. Stage 8 was another glorious mountainous stage, with 7 climbs. British EuroSport showed the complete stage, and it was magnificent. There were attacks from the get-go before it stabilized around 50 km in. Kessiakoff (AST) rode away, but thanks to Jerémie Roy’s (FDJ) hard work, his team member Thibaut Pinot was able to catch up with Kessiakoff, and ride to victory. The favorites were in hot pursuit, distancing the main peloton quite dramatically. They came in about 30 seconds after Pinot, showing you how much they could muster. Team Radioshack feels a bit in disarray. With the Schleck’s leaving next year to found their own Luxembourg team, the impetus seems lost, even though they have a strong team. 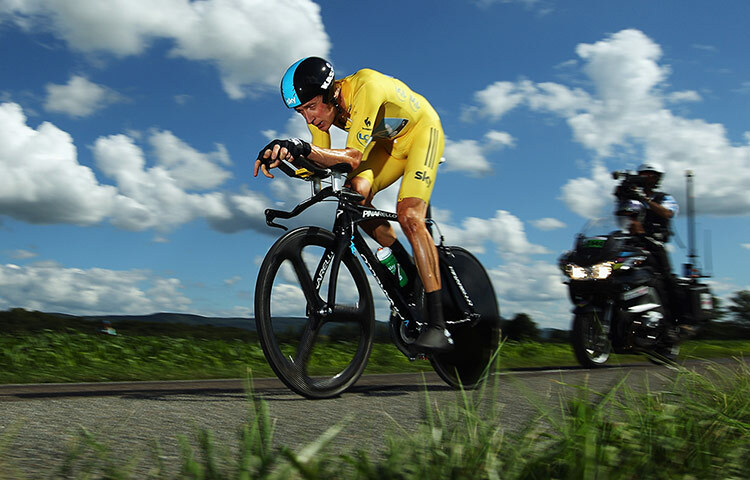 Frank Schleck is not on form, and he lost another 2 minutes on the favorites during the time trial. Speaking of which, Wiggo rode it to perfection, beating all of his rivals by a significant amount, and creating a 1’53” lead over Cadel Evans. It was an amazing ride, that saw him gain over a minute in the first 20km, which is incredible considering that Evans isn’t a bad TT rider. The first rest day saw Di Gregorio from Cofidis arrested at his hotel, and the rest of Cofidis raided for doping-related charges.